A few months ago, my family and I moved from the West Coast to the East Coast. It was a very big move that involved a very long road trip. Two cars, two kids, and two weeks later, we made it to the East Coast. I found the key to providing my kids with healthy snacks on the road is planning. Several days before we hit the road, I like to make a list of all the foods we need. That way, I can pack a bag in the car that is organized with variety of snacks. 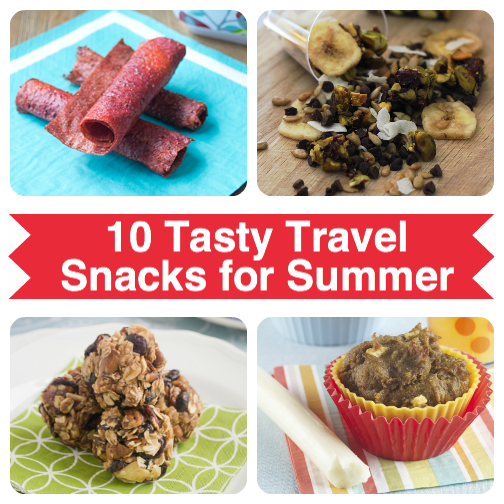 Head over to Produce for Kid’s for 10 Tasty Travel Snacks for Summer! woot-woot for the East coast peeps! Will check out the post. Thanks!